Over 200 million people worldwide are affected by thyroid disorders. It is a small gland located at the front of the neck (in front of the vocal cords), which ensures the well-being of the patients and vital functions. Hypothyroidism may decrease, sleep may be impaired, the weight may vary, and mood may fluctuate. 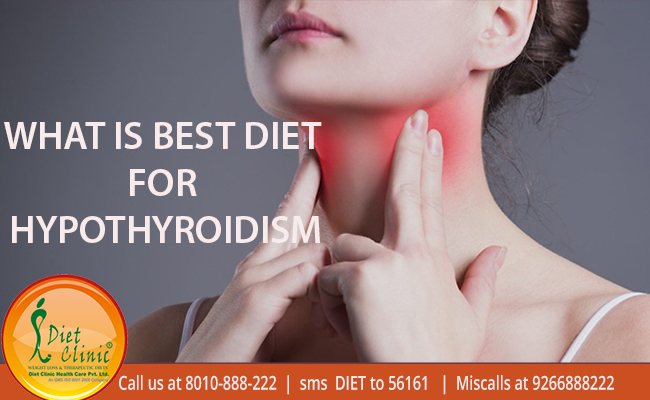 Apart from obviously therapeutic treatments with medicines, diet also plays a role in the regulation of the thyroid in opinion of Dietician Sheela Sherawat from Diet Clinic. The foods to promote in case of hypothyroidism are those that contain the most iodine. It is an element essential to our body and one must consume neither too much, nor too little says a dietitian. Note that the average daily needs of an adult are 150 μg. In the case of thyroid dysfunction, it is necessary to fill the gaps in iodine. Generally, seafood, shellfish, fish (smoked haddock, cod, sardines), and some types of seaweed contain a lot of iodine. Some vegetables (spinach, watercress), eggs, cereals (rye, oats), dairy products, dried fruits, and meat are also good sources of iodine. Another micronutrient to promote: selenium (a maximum daily requirement for an adult: 100 micrograms) which is an excellent antioxidant and is essential to the activity of the thyroid gland. Selenium is found everywhere in our diet, especially in products of animal origin such as meat, cheese, fish, shellfish and especially egg yolk. Finally, Zinc, a trace element antioxidant is also of interest for thyroid metabolism. Many foods are provided such as oysters, offal, red meat, wholemeal bread, and eggs, says Best Dietitian In India. The thyroid is a gland located at the neck that secretes thyroid hormones containing iodine, an essential element for the thyroid and the production of these thyroid hormones. They are critical for primary metabolism, regulation of body temperature, reproduction, growth, production of blood cells, and development of the nervous system and muscle function. If it shows dysfunction, many symptoms may appear, such as weight gain or loss, increased risk of cardiovascular disease, fatigue, or memory loss. Certain disorders of the thyroid require to review some of its eating habits because a specific diet adapted to each pathology will stabilize the thyroid hormone requirements. It is necessary to limit as much as possible the consumption of fast sugars in fat loss diet. Foods such as cookies, sweets, fried foods, and prepared food have to be eaten sparingly is an excellent Fast Weight Loss Tips. Similarly, coffee, tea, cocoa, mustard, and spices should be avoided because they are too aggressive for the thyroid gland. Also, some foods called "goitrogens" (goiter is the increase in volume of the thyroid gland, which does not necessarily indicate the presence of a disease), such as cruciferous vegetables (Brussels sprouts, cauliflower, broccoli), turnip, radish, sweet potato, or cassava, which slow down the functioning of the thyroid gland by preventing it from absorbing iodine, although cooking them well helps to slow down their misdeeds. Certain dietary supplements can help relieve thyroid disease, provided they always consume under medical supervision and according to the type of pathology. Let us remember those who will bring magnesium chloride, selenium, zinc and vitamin B6 to regulate the function of the thyroid.